There is plenty of information on configuring SSL termination on Rackspace Load Balancers but it might be easy to stumble on setting up the intermediate certificate. If you have the intermediate certificate configured wrong, you may see a big ugly "untrusted certificate" error in a browser like Firefox. 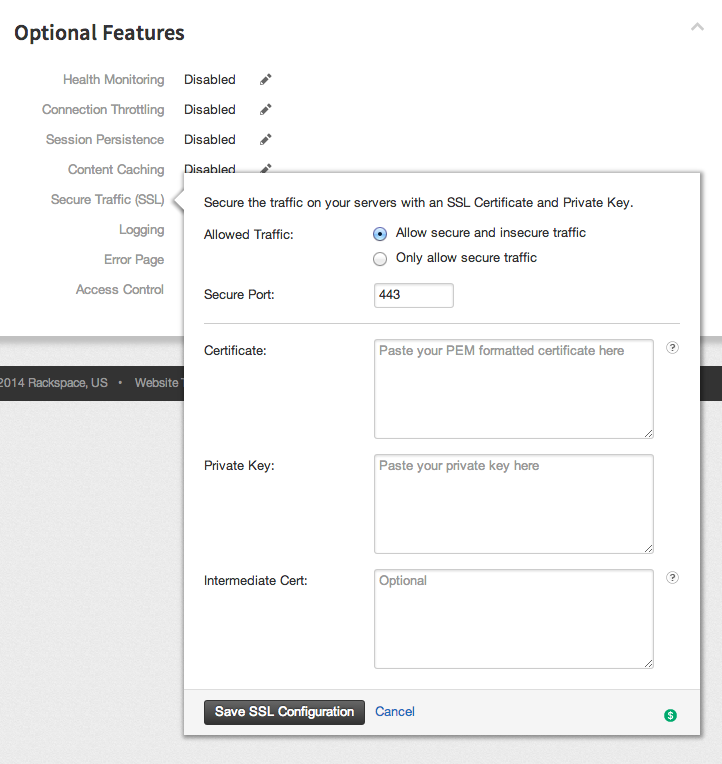 There are 3 fields to add a certificate to the load balancer: Certificate, Private Key, and Intermediate Certificate. 1) Add the content of www_mydomain_com.crt to the Certificate field. 2) Add the content of the private key file you used to generate your certificate request to the Private Key field. 3) Combine the contents of the remaining 3 .crt files, in the order listed above, and add it to the Intermediate Cert field.